Nokia 8110 4G is the return of the icon. Much like the original, the new Nokia 8110 4G has a curved protective cover (like a banana!) you can slide open to pick up calls and slide back to end them. Most importantly, the phone comes pre-installed with Snake. Nokia's banana phone from The Matrix is backBack in 1999, Keanu Reeves was famous for playing Neo in The Matrix, and not for looking sad on a bench. 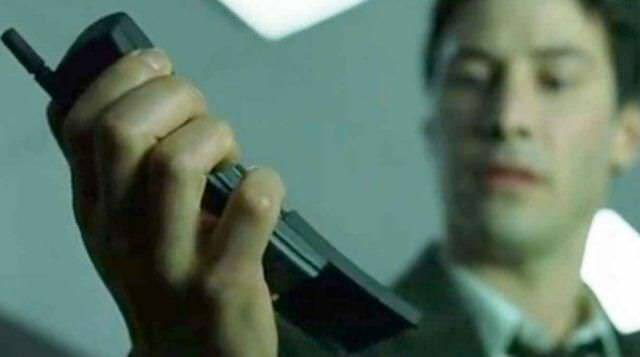 Nokia was also the "world's leading mobile phone supplier" back then, and it used this popularity to feature its Nokia 8110 "banana phone" in The Matrix film. Nokia 8110's slider 'Matrix' feature phone returns with 4G and a €79 price tagNokia's 8110 - the distinctive 'candy bar' feature phone with a slider opening - was once the phone that everyone wanted but no one could afford, made popular through the Matrix film franchise. Now HMD, the company that has the license to make Nokia phones, is hoping for a hit by bringing it back. Would you recommend Nokia 8110 4G to a friend? Incredible design omg! Finally, something new in our modern dull world. Very nice! Unfortunately, the OS leaves much to be desired. I was 7 y.o. when I for the first time "Matrix", and when I saw this phone I fell in love! 💖 I'm going to buy it without any doubts . Aisen Anisimov has never used this product. For those that always wanted to own Neo's phone, now with 4G: While I love the nostalgia, I can't imagine switching from iOS (or Android) to KaiOS. Curious to hear from people that plan to buy this. 25 days of standby time! That’s pretty sweet. It could be great communication device for texting and calls if they get apps like WhatsApp, Viber, Telegram and Messenger on KaiOS. I don't get the slider thing and why is it curved.